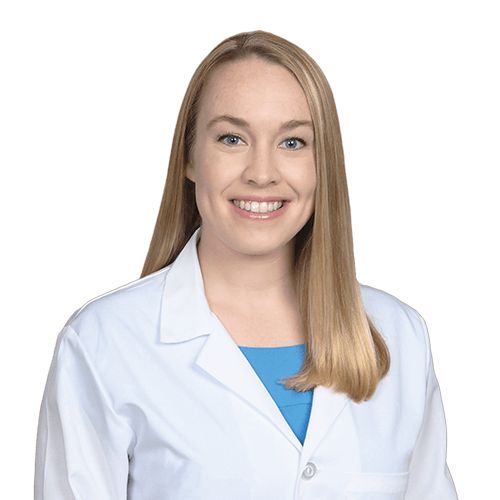 Dr. Kate Heinlein is a board-eligible orthopedic surgeon who is fellowship-trained in sports medicine. 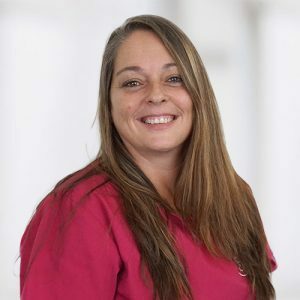 She has a particular interest in the care of athletes of all ages and abilities, and utilizes both nonoperative and operative treatment plans to get patients back to doing what they love. Dr. Heinlein has specialized training performing minimally invasive arthroscopic procedures of the knee, shoulder, hip, and ankle, in addition to general orthopedic procedures. During her fellowship at the Cleveland Clinic, Dr. Heinlein served as a team physician for Notre Dame College and Cleveland State University, as well as an assistant team physician for the Cleveland Cavaliers and Cleveland Indians. 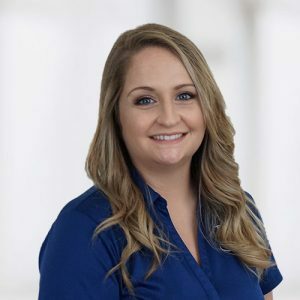 During her residency at Orlando Health, Dr. Heinlein served as team physician for several area high school football teams, including Lyman High School, Orlando Christian Prep, and Faith Christian Academy. She also served as affiliate medical staff for the Orlando City Soccer Club and Arnold Palmer Invitational golf tournament. She was appointed chief resident during her final year of residency. Dr. Heinlein is a native Ohioan and avid Buckeye fan. In her free time, she enjoys running, spending time with friends and family, and spoiling her dog, Luna.